Gemstone Details: 1 Round cut pink sapphire and 74 black sapphires, of exquisite color. 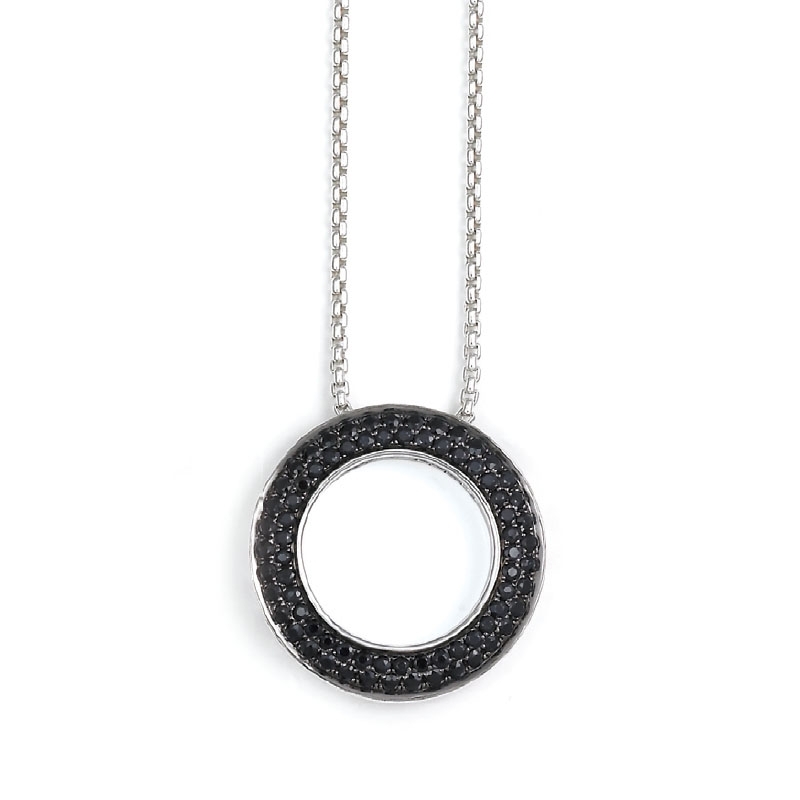 Pendant Details: Charles Krypell sterling silver. This beautiful Charles Krypell sterling silver pendant necklace features 1 round cut pink sapphire and 74 black sapphires, of exquisite color. 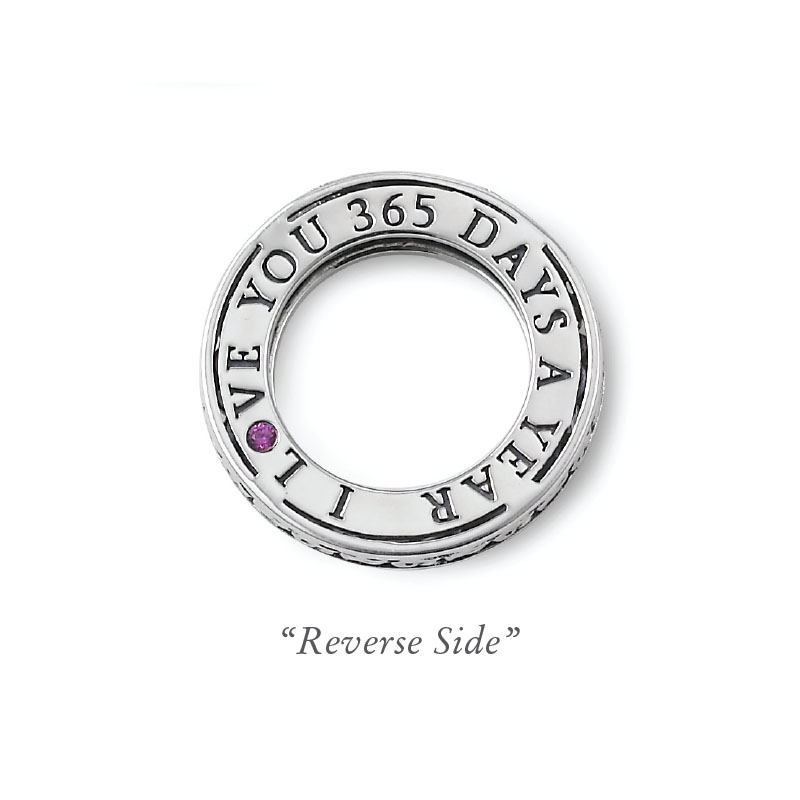 A reversible pendant with "I Love You 365 Days A Year" inscription.